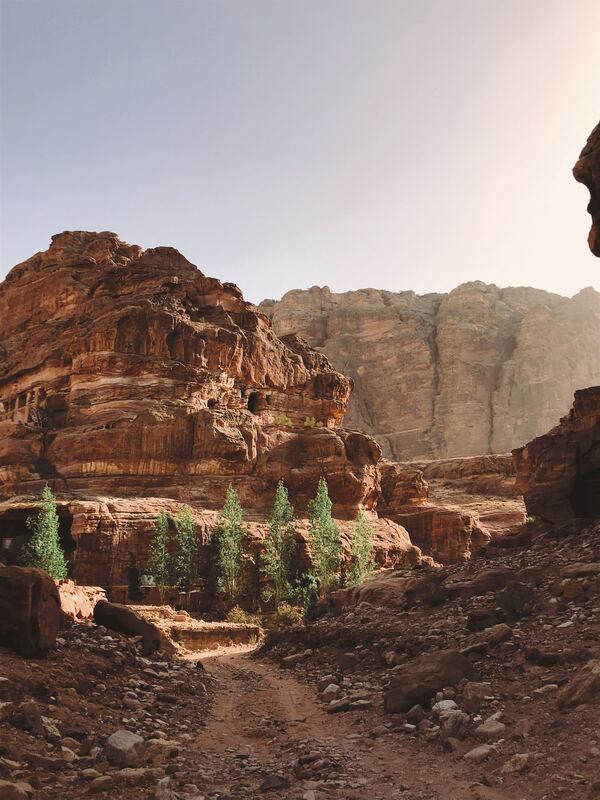 The rose city of Petra lies in southern Jordan on the slope of a mountain basin, probably established as the capital of the Nabataean Kingdom by its nomadic Arab citizens who established it as a major trading hub in the 4th century BC. Enclosed by towering rocks and watered by a perennial stream, it had natural fortifications that provided it protection. The Nabataeans were experts at living in the basin, skilful at stone carving as the fabulous facades of the city show. Many structures were destroyed in an earthquake in the 4th century and after its decline, only a handful of nomads lived there until it was rediscovered by the Swiss traveller Johann Ludwig Burckhardt in 1812. In 2007, Al-Khazneh, one of the most elaborate temples in the city, and featured in a number of films from Hollywood to Bollywood, was voted as one of the New Seven Wonders of the World. Petra, known as the Rose City because of the colour of its stone, was designated a UNESCO World Heritage Site in 1985, and is once again popular with tourists now instability has left the region. Entry to the city is through the 1.2 kilometre-long Siq gorge, the same route that Burckhardt took. The narrow gorge, in places less than 10 feet wide, is called the Siq, or shaft, and is a natural geological feature. 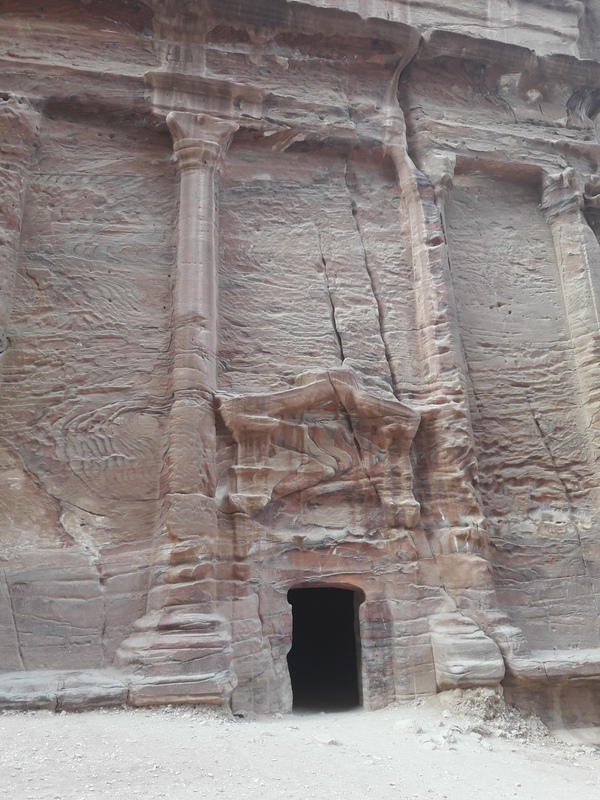 It leads directly to Al Khazneh, the Treasury, hewn into the sandstone cliff. It was rumoured that this beautiful building housed riches, and its facade still bears the bullet holes made by Bedouin guns as their tribesmen fired upon it in the hope that they would become dislodged. A little further into the city, at the foot of the en-Nejr mountain is a massive amphitheatre carved into the hillside and integrating several tombs in its construction – rectangular gaps are visible among the seating – enclosed on three sides by rose-coloured mountains and with the striking city revealed with great effect. 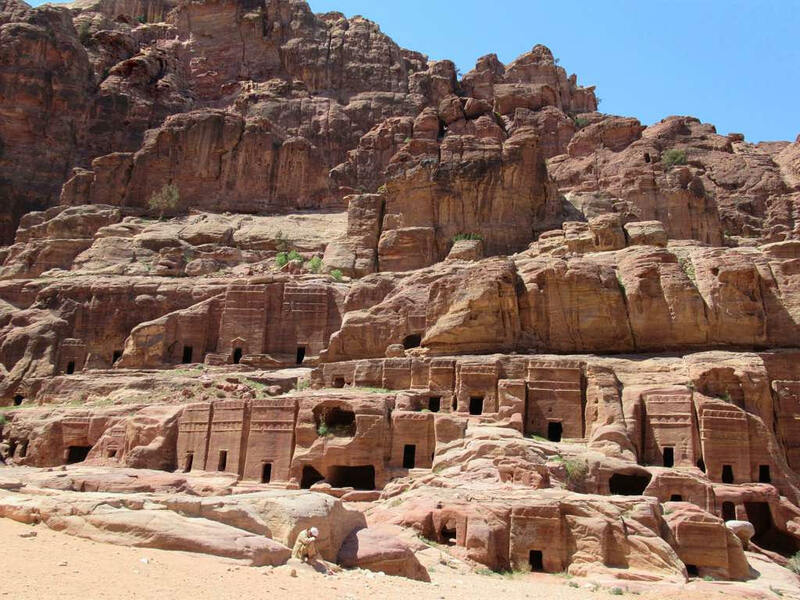 The Street of Façades is a row of Nabataean tombs carved for royal courtiers into the southern cliff, which become apparent as you continue into the city, past the Treasury. There are a number of other, significant tombs too – the Royal Tombs: The Urn Tomb (the Court); The Silk Tomb; the Palace Tomb; The Sextius Florentinus Tomb; and the Corinthian Tomb. Each tomb is a cemetery in itself and their facades, hewn from the rose rock, hide burial rooms and chambers and graves within. El Deir, the Monastery, is Petra’s largest monument and dates from the 1st century BC, although its name reflects its use as a Christina chapel during its history. 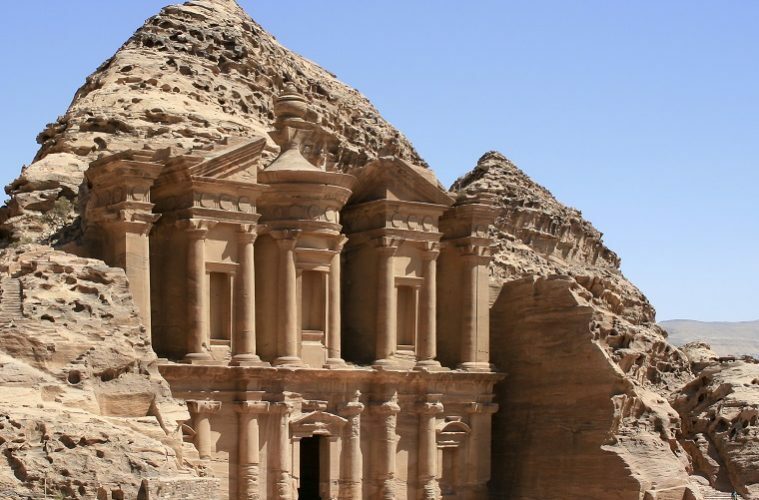 The Petra Guest House Hotel claims to be the closest accommodation to the rose city, and its Cave Bar is set in a restored 1st century Nabataean house. 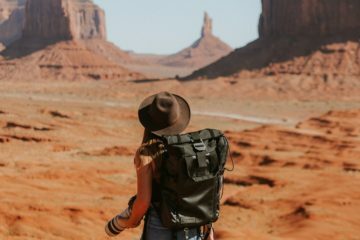 The giant red mountains and vast mausoleums of Petra are familiar to many from literature, art and film, but nothing you read or see can prepare you for their breathtaking beauty. 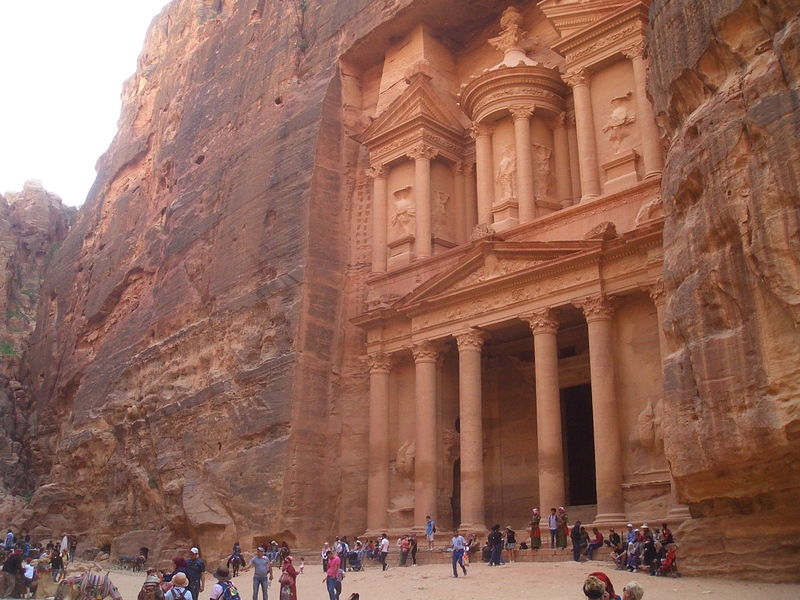 You have to see Petra to believe one of the greatest wonders ever wrought by man in partnership with nature.